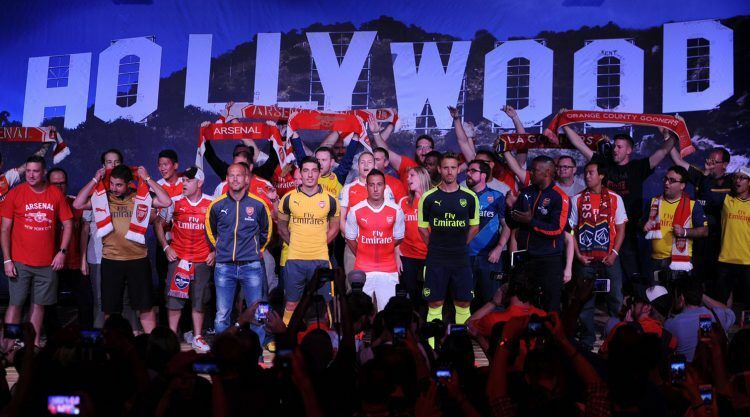 At the weekend, a star-studded event in Los Angeles served to launch the newest PUMA kits of our partnered team Arsenal during their tour of the USA. Befitting of the location, none other than actor and musician Jamie Foxx, a self-proclaimed Gunners fan, heated up the atmosphere. 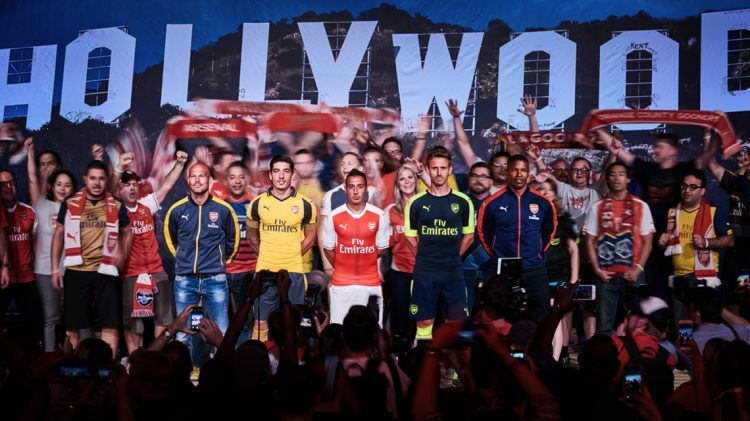 Our players Santi Cazorla, Héctor Bellerín and Nacho Monreal presented the Away and Third kits for the 2016/17 season in front of an audience of Hollywood celebrities and fans. It’s always nice to meet our fans wherever we travel. It’s clear to see they have such passion for Arsenal, no matter how far away from us they are. We enjoy these events that bring us closer to them, and it’s an opportunity to thank them for their support. 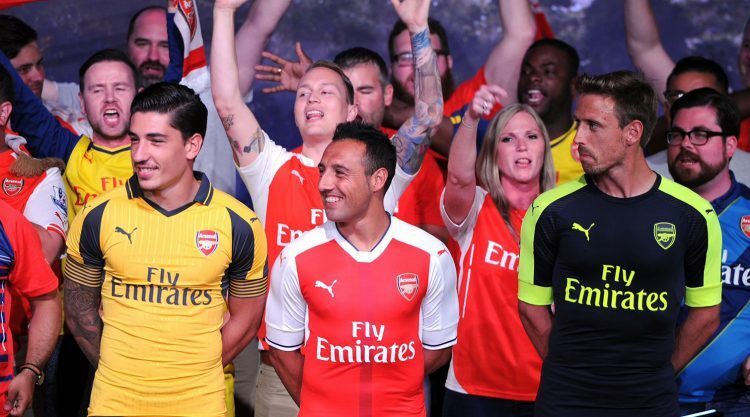 The new kits are very nice. We’re looking forward to wearing them this season. Designed in the iconic Arsenal Away yellow rounded off by gunmetal grey details, we have created a traditional kit that celebrates the club’s rich history and that also features our PUMA formstripe. 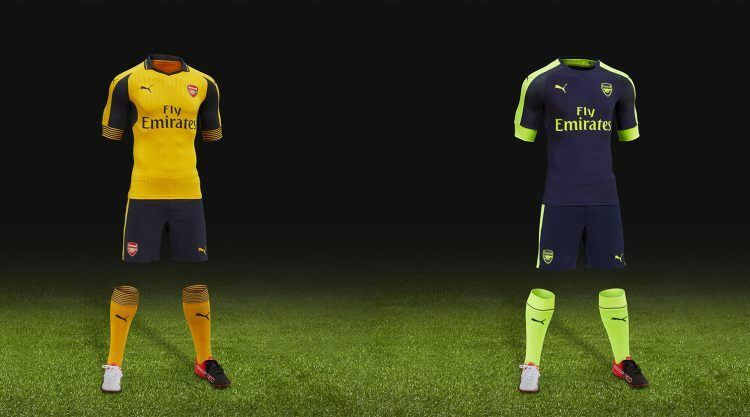 Meanwhile, the third kit is completely contrasting with an ultra-modern look and feel. Designed in a dark blue hue, the kit is complemented with bright yellow in the PUMA Form Stripe along the sleeves and cuffs. Dark blue shorts with the same yellow detailing with block yellow coloured socks complete the look. The replica jerseys will be available in store from 30th July. 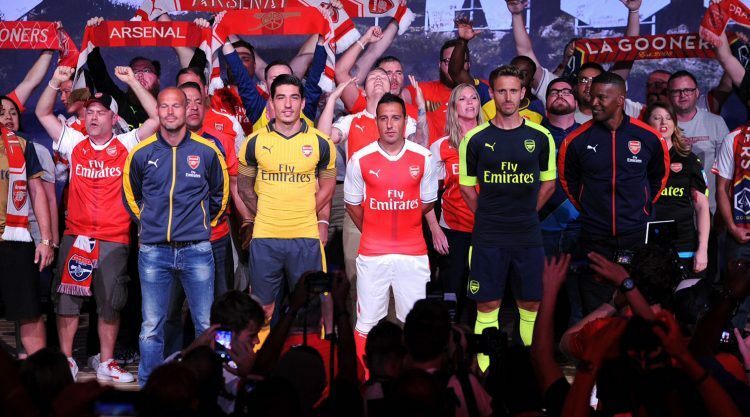 PUMA revealed the Arsenal Away and Third kits for the 2016/17 season at a star-studded event in Los Angeles. 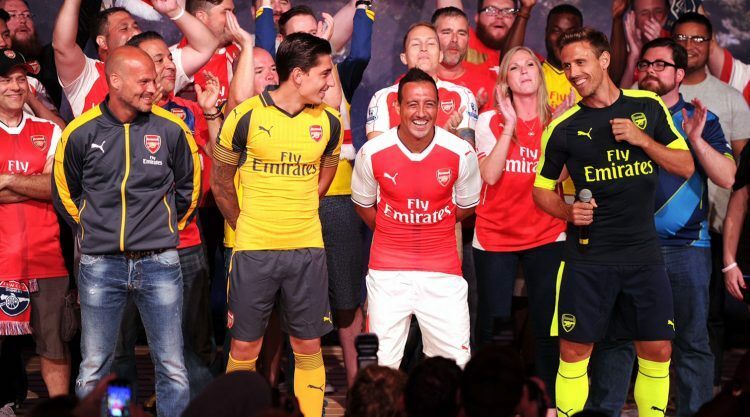 Gunners fan Jamie Foxx stirred up the crowd as PUMA players Santi Cazorla, Héctor Bellerín and Nacho Monreal presented the kits to an audience of Hollywood celebrities and fans in a recreation of the ‘We are THE Arsenal’ campaign. Welcome the Minions to the PUMA Family!